From the moment he steps on stage, the juggler captures the audience's attention. 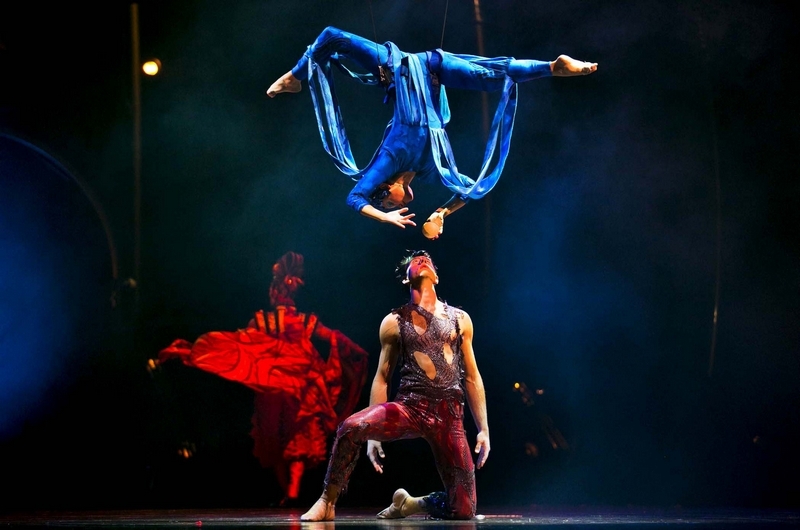 To a stylised choreography that makes the most of his incredible flexibility, he incorporates a fast-moving juggling act with hints of modern dance. 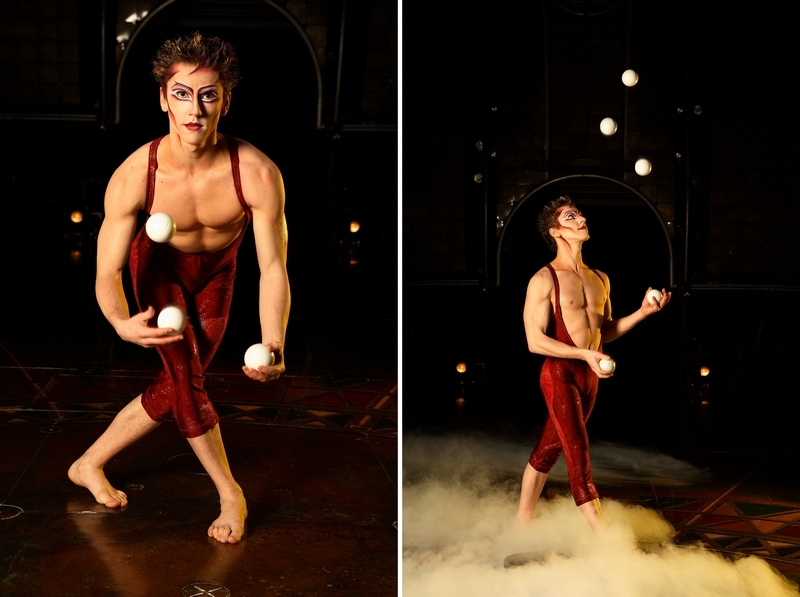 His incredible precision and mastery of his art are evident as he juggles up to seven balls at the same time. Lead by Gaya, the goddess of the Earth, a spidery creature slithers on stage giving birth to an omnimous man. Choreographed with percision, this juggler's ability will astound. 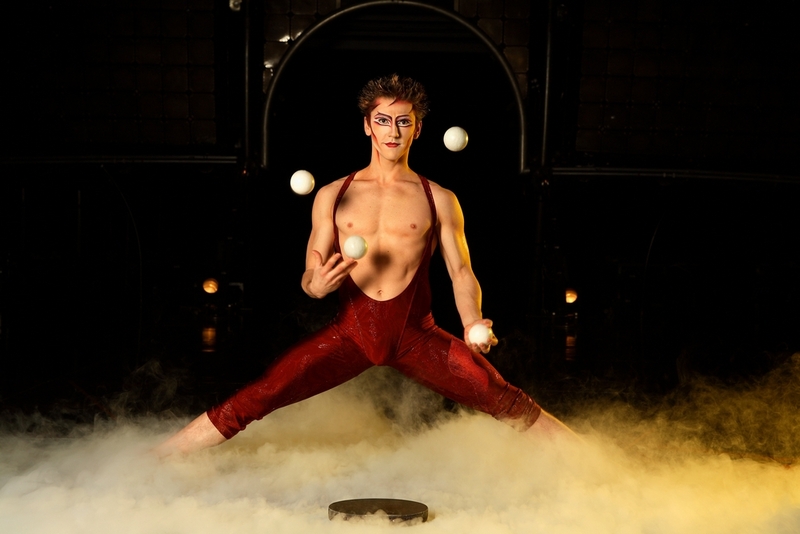 He's flexible, he's talented, and he can juggle seven balls at one time! Beginning with just two balls, he works his way up to all seven - the last being a red one, symbolizing his heart. Trying to explain what he does is almost a hard task. From dance, to gymnastics to just craziness, he is a master of his art. After his mind boggling act, he throws all the balls in the air, keeping only one - the red one. After one last beat, he returns his heart to Azala suspended in the air and expires.